Fighters Market EU offers a huge range of high quality and durable jiu jitsu kimonos and brazilian jiu jitsu GIs. We are one of the largest stockists in Europe of kimonos for both men and women from the most trusted brands including Kingz, Maeda, Progress JJ, Roll Supreme, Moya Brand, Atama, Tatami, Hyperfly plus many more. We also offer a customisation service with full embroidery of your club logos, positioned wherever you like on your kimono for academies as well as wholesale prices for large orders. Having the right Jiu-Jitsu kimono can go a long way in helping aid performance on the mat. From the weight to the cut/fit of the kimono, having the right kit for your body will ensure you can move freely against your opponent during a fight. At Fighters Market EU, our range of BJJ kimonos are all sourced from leading Jiu-Jitsu brands with a wide range of sizes to choose from. Many of our Jiu-Jitsu kimonos come complete with free belts and our current range includes women’s BJJ kimonos and kid’s BJJ kimonos to choose from. 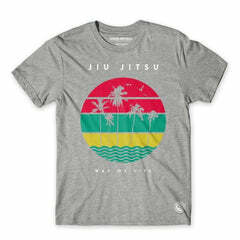 As one of the leading suppliers of Jiu-Jitsu clothing, you can find everything you need in our online store. Don’t forget, we offer free UK shipping when you spend over £49, take a look at our range of Jiu-Jitsu t-shirts and rashguards for more quality fightwear.